Worldview Entertainment has unveiled the first photo from their upcoming drama Joe, starring Nicolas Cage like you've never seen him before. The actor portrays the title character, an ex-con trying to get his life back on track in a small Texas town. He gets a chance to redeem himself by helping out a 15-year-old boy (Tye Sheridan) who is trying to support his family. 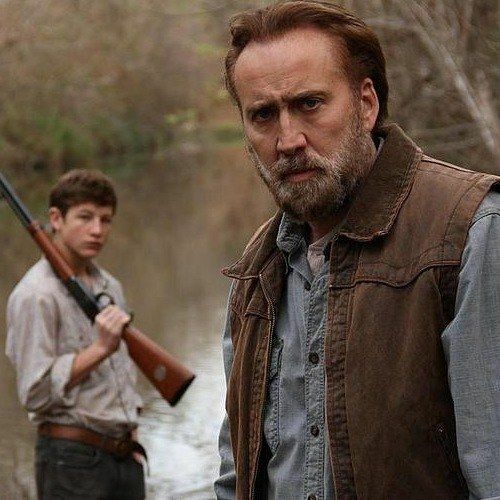 Check out this first look photo featuring a rather menacing Nicolas Cage, then read the official synopsis for more details regarding director David Gordon Green's drama. Principal photography recently wrapped on this adaptation of Larry Brown's novel, written by Gary Hawkins. Worldview Entertainment is currently seeking buyers at the Berlin International Film Festival. In the dirty unruly world of small-town Texas, ex-convict Joe Ransom (Cage) has tried to put his dark past behind him and to live a simple life. He works for a lumber company by day, drinks by night. But when 15-year-old Gary (Sheridan) - a kid trying to support his family - comes to town, desperate for work, Joe has found a way to atone for his sins - to finally be someone's hero. As Joe tries to protect Gary, the pair will take the twisting road to redemption in the hope for a better life in this tough, hard-hitting but incredibly moving story.